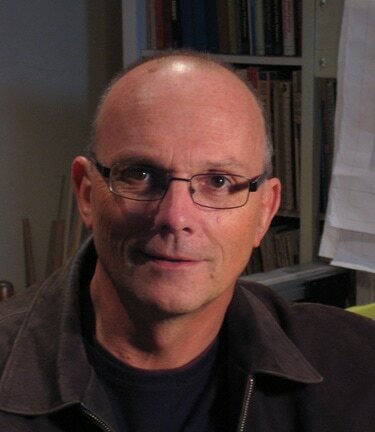 ​Richard Roberts is an Australian theatre designer and educator. Richard has designed for theatre, dance, opera, film and television. He has held positions as Head of Design at The Western Australian Academy of Performing Arts, Head of Production at The Victorian College of the Arts and Head of Design at The Hong Kong Academy of Performing Arts. Richard’s designs for opera include: for Opera Australia, RIGOLETTO, DON PASQUALE, THE MAGIC FLUTE and DIE FLEDERMAUS (with West Australian Opera); for Victorian Opera, PARSIFAL, CUNNING LITTLE VIXEN; NIXON IN CHINA, THE MAGIC FLUTE, BAROQUE TRIPLE BILL, THE MARRIAGE OF FIGARO; THE CORRONATION OF POPPEA and DON GIOVANNI; RUDDIGORE for Opera Queensland; and RIGOLETTO for New Zealand Opera. For dance, Richard’s designs include: for the Australian Ballet, REQUIEM, MOLTO VIVACE and RAYMONDA; and LA SYLPHIDE and LA FILLE MAL GARDEE for West Australian Ballet and Queensland Ballet. For theatre, Richard’s designs include FIDDLER ON THE ROOF for TML; THE SEASON for Melbourne and Sydney Festivals; for Melbourne Theatre Company, LAST MAN STANDING, SOLOMON AND MARION, NEXT TO NORMAL, THE GIFT and FROST/NIXON, MACBETH, DREAMS IN AN EMPTY CITY, AS YOU LIKE IT, HEDDA GABLER, THE SAPPHIRES, ALL MY SONS; for Sydney Theatre Company, AUSTRALIA DAY (with MTC), TRUE WEST, RIFLEMIND; for Black Swan, THE CAUCASIAN CHALK CIRCLE and GLENGARRY GLEN ROSS; for Queensland Theatre, DEATH OF A SALESMAN, NOISES OFF (with MTC), MUCH ADO ABOUT NOTHING, TARTUFFE and MANAGING CARMEN (with Black Swan); for Belvoir Theatre, THE SAPPHIRES (with Black Swan); and SCARMOUCHE JONES at Arts Centre Melbourne starring Colin Friels. For screen, Richard’s work includes production design for George Ogilvie’s THE BATTLERS for the Seven Network, the 12-part series FIVE TIMES DIZZY for SBS and I OWN THE RACECOURSE for Barron Films. After graduating from Flinders University drama course, Richard was appointed resident designer with the South Australian Theatre Company in 1977. He moved to Sydney in 1981 to practise as a freelance designer where his work included designs for Nimrod, Sydney Theatre Company, Belvoir Street Theatre and SBS Television. In 1986, Richard moved to Melbourne to take up a position as a resident designer with MTC. He also designed for Playbox, STC and State Theatre Company of South Australia during this tenure. In 1992, Richard went to Perth to establish the Design stream at WAAPA. His freelance design work during this period included THE MAGIC FLUTE and DIE FLEDERMAUS for the West Australian Opera and the Australian Opera, LOCHIE LEONARD and DEAD FUNNY for the Perth Theatre Company and set for Black Swan’s production of BLACKROCK by Nick Enright. After five years in Perth at WAAPA Richard returned to Melbourne and resumed his freelance career. He was appointed Head of the School of Production at the Victorian College of the Arts in 2000, a position he held until 2008 when he resumed work as a full-time freelance designer. Between 2013 - 2015 Richard was Head of Design at The Hong Kong Academy for the Performing Arts. Richard returned to Australia at the end of 2015 to continue his freelance career and take up his current position as Associate Professor at the School of Production at VCA.